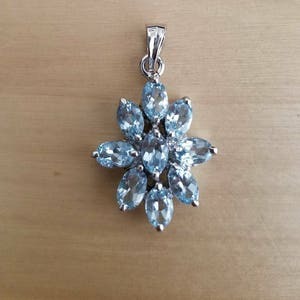 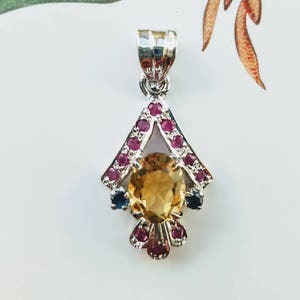 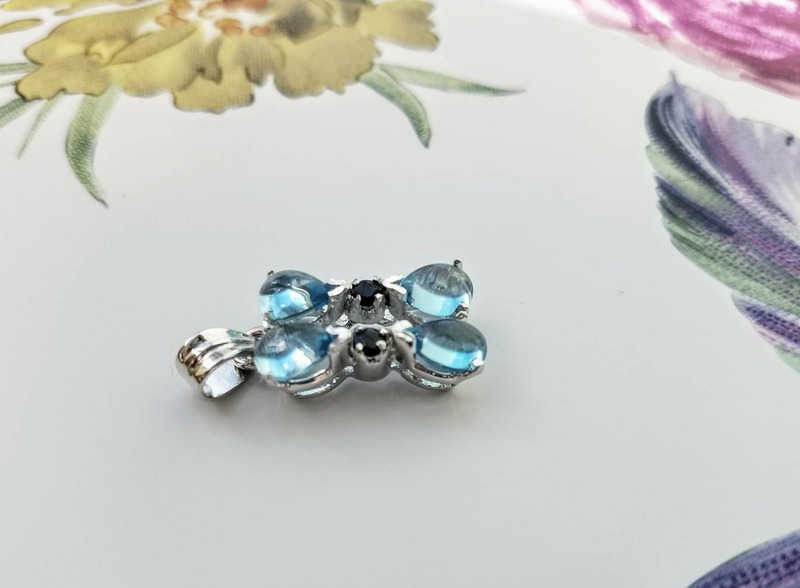 Blue topaz pendant. 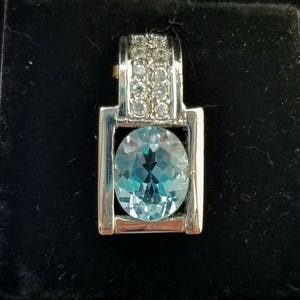 Exquisite gift for someone special or for yourself! 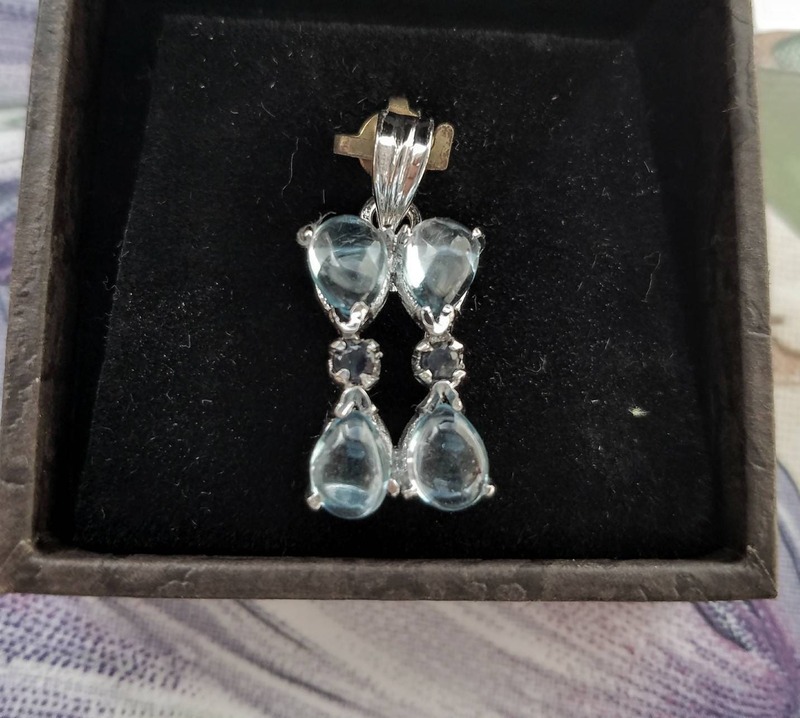 Great for everyday or for November birthday gift. 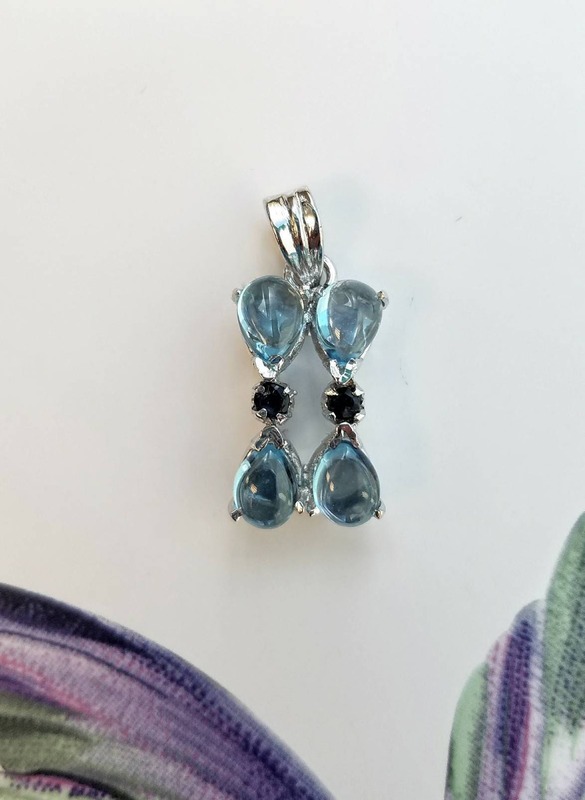 Gemstones: Blue topaz 4 pieces, wt 2.8 ct., tear drop shaped cabochon in a soft pastel blue. 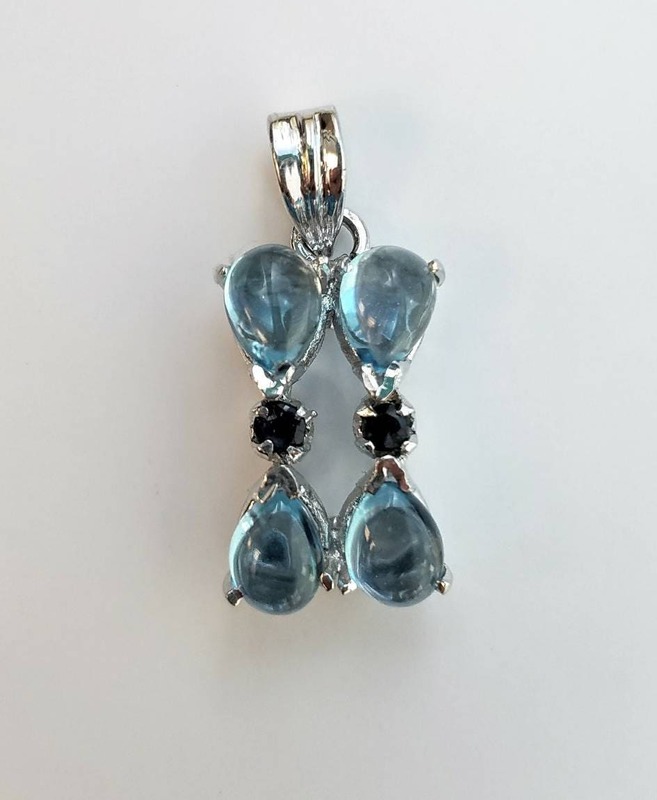 Blue sapphire 2 pieces, wt .20 ct Expertly cut and polished to a bright shine. 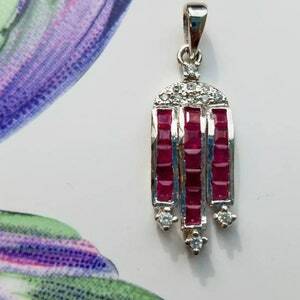 Setting: Sterling silver setting with rhodium wash, so as to look like white gold.